Crazy glue is a bonding adhesive that has many applications, such as gluing glasses back together. When you glue things like glasses together with really slender components, the crazy glue can seep out of the joints and dry outside of where the glue is actually needed. It isn't impossible to clean or scrape the crazy glue off even in the tightest of spaces. Crazy glue can be used to piece broken glasses back together. Set out the old [hand towel](https://society6.com/bath-towels?utm_source=SFGHG&utm_medium=referral&utm_campaign=3436) and put the glasses on top. Dip the cotton swab in the acetone based fingernail polish. 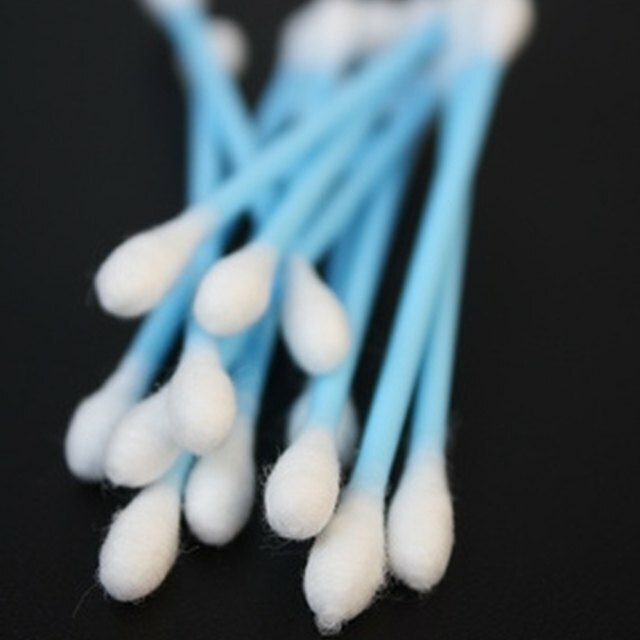 Gently rub the crazy glue spots with the cotton swabs. Be careful not to get it into where the glasses are bonded together. The glasses will become unbonded. Allow the glasses to air dry.